CRUX CIGARS EPICURE IS CELEBRATED WITH THE RELEASE OF AN ADDITIONAL SIZE AT IPCPR 2017.
the much anticipated Crux Epicure is ready for launch – and with an additional size, a 5.375 x 46 Corona Gorda. The letter rightly points out that the time and resources needed to respond to the breadth and technical detail of data requested by the FDA exceeds the allotted. 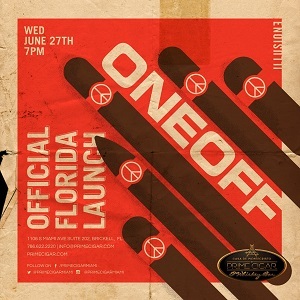 The host of the official launch for "One off" will be the 2X winner of the Best Cigar & Whiskey Bar / Shop in Miami by the Miami New Times Readers, Casa de Montecristo by Prime Cigar and Whiskey Bar. Event takes place on Wednesday, June 27th @ 7pm. 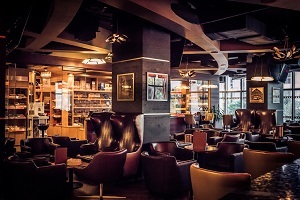 Prime Cigar & Whiskey Bar will be one of 500 retail locations across the nation selling the highly anticipated (back on the market) "One Off" by Illusione. Production details are not that easy to come by, but all we can say is it is being handled at Aganorsa Leaf's Tabacos Valle de Jalapa S.A. factory in Estelí, Nicaragua and that ONLY 120,000 One Off's have been rolled out to the market. We are personally inviting you to attend and/or share with your readers to invite them and experience the sophisticated ambiance of South Florida's cigar smokers favorite hideaway, Prime Cigar and Whiskey Bar, and meet and greet the Illusione Family. Formal introduction will be celebrated at the July 2018 IPCPR Convention and Trade Show in Las Vegas, NV. Kindly find attached the invitation for the One Off Launch Party and images of Prime Cigar and Whiskey Bar! 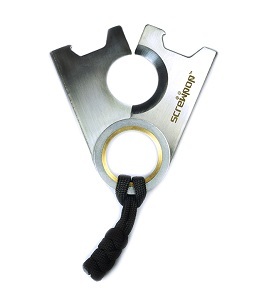 Screwpop® Tool to offer redesigned of cigar cutter "Chopo™"
The latest in compact and highly functional tools, Screwpop® introduces - Chopo™ Cigar Cutter, a reengineered force in cigar cutting technology. Chopo™ is the successor of the original Screwpop® Cigar Cutter with a few major improvements. First, the Eyelet has been generously enlarged that puts the pivot motion closer to the cutting circle. Second, two ultra-thin washers have been added (one each side) to further minimize blade separation and to additionally prevent less wear on the Eyelet mechanism. A few other key improvements are in the materials and methods of fabrication. Chopo™ is made from high quality ultra flat 420 J2 (Japanese) stainless steel. Additionally, CNC manufacturing aids in helping with a few finishing touches that ensures the cutter fully closes and is virtually perfectly flat, in light of the 90 degree bends that dub as both finger and thumb grips. Like it's predessesor, Chopo™ includes a well-placed bottle opener for those who enjoy pairing a fine cigar with micro-brews. Chopo™ is available for pre-order on Screwpop's website: www.screwpoptool.com. It will also be available on Amazon.com, soon to follow. maker, a prolific author regarding cigars and black tobaccos, a forefather within the online media segment and a dynamic tobacco industry executive. In 2000, he worked directly for Lew Rothman, the former owner of JR Cigar, as an executive consultant for four years and he subsequently served as the President, then CEO of Drew Estate from 2005 through 2013. In 2015, he established the family held Dunbarton Tobacco & Trust to craft and distribute traditional handmade puros. For more information, please visit: www.dunbartoncigars.com. ®Dunbarton Tobacco & Trust and Sin Compromiso are registered trademarks of Dunbarton Tobacco & Trust and/or affiliated companies. Southern Draw Cigars is proud to announce the third installment of the IGNITE some good charitable campaign as it partners with Cigars International to release 1,000 custom IGNITE humi-jars. Going back to its roots, the original two cigar blends from Southern Draw Cigars, Kudzu and Firethorn now have a fresh new size to be enjoyed. A 5x58 round format perfecto. The 5x58 perfectos will each have the custom IGNITE cigar bands and will be officially released by Cigars International on June 15th with details to be announced but CI Mega Store, Hamburg customers can get a sneak peek of these new cigars starting at 6pm on June 5, 2018 as Robert Holt joins the CI staff for an IGNITE some good social. “Cigars International is incredibly excited to team up with Southern Draw Cigars on these two new, exciting, and delicious projects for CI Nation. Any opportunity we receive to help out our troops is one we’ll jump on without any hesitation, so when Robert Holt approached us with his idea for Ignite, we knew we wanted to be a part of it immediately,” added Jeffrey Kocher, Chief Merchant. Each cigar is handmade at AJ Fernandez Cigar Co. in Nicaragua using patiently aged and naturally fermented tobaccos. Cigars International and Southern Draw Cigars will donate a total of $7.50 per jar to Operation Cigars for Warriors. 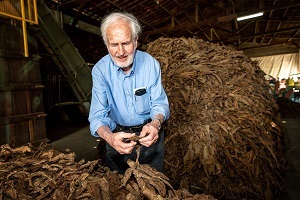 Dunbarton, NH – Dunbarton Tobacco & Trust® (DTT) will be showcasing a single vitola line extension to it’s full- bodied Todos Las Dias (TLD) brand that is even bolder. It will be made available at the International Premium Cigar and Pipe Retailers 86th Annual Convention in Las Vegas, NV, on July 13th, 2018. The TLD Thick Lonsdale “Mas Fuerte” is a 6.00 x 46 parejo with a pig tail finished head and packed in 10ct boxes with a red “Mas Fuerte” label applied. The MSRP is $11.95 per cigar and $119.50 per box. The anticipated ship date to those Select Purveyors who order at this year’s tradeshow is August 2017. 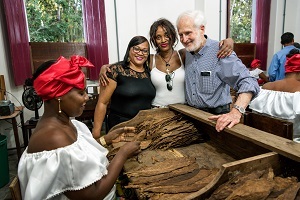 Regarded as a cigar expert throughout the industry, he is credited as being an experienced cigar blender and maker, a prolific author regarding cigars and black tobaccos, a forefather within the online media segment and a dynamic tobacco industry executive. In 2000, he worked directly for Lew Rothman, the former owner of JR Cigar, as an executive consultant for four years and he subsequently served as the President, then CEO of Drew Estate from 2005 through 2013. In 2015, he established the family held Dunbarton Tobacco & Trust to craft and distribute traditional handmade puros. For more information, please visit: www.dunbartoncigars.com. ®Dunbarton Tobacco & Trust and Todos Las Dias are registered trademarks of Dunbarton Tobacco & Trust and/or affiliated companies. Cubariqueño Cigar Co. announces the release of the Protocol Themis Lancero for the 2018 IPCPR. This is the company’s third lanceo offering. Following the success of their prior lanceros which both took #1 Cigar of the year for 2016 on Cigar Federation and 2017 on Tiny Tim’s Cigar World, the company says they will continue with more lancero releases. 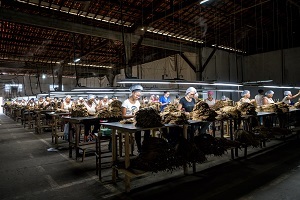 The cigars are being produced at Erik Espinosa’s LaZona Factory in Estelí, Nicaragua. The Themis Lancero will be available in a 7 1/2 X 38 format in boxes of 10. 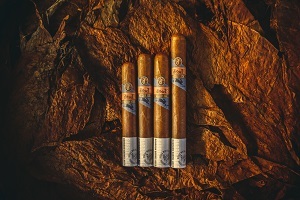 The blend consists of a Ecuadorian Connecticut wrapper with Nicaraguan binder and Nicaraguan fillers. 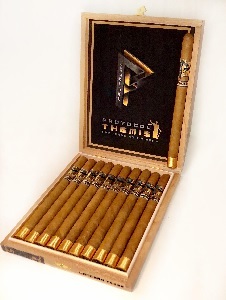 The Themis has been extremely successful for the company, with the Themis Toro giving the company their second #1 Cigar of the Year on Developing Palates 2017 Top 25 Cigars, along with placings on 12 other 2017 Top 25 lists across the collective cigar media outlets. MSRP is set at $10.50 per cigar & $105.00 / box of 10. Cigars are available now on BerkeleyHumidor.com and are shipping to retailers on July 1, 2018. Cubariqueño will be located inside the Espinosa Cigar booth this year at the 2018 IPCPR trade show. 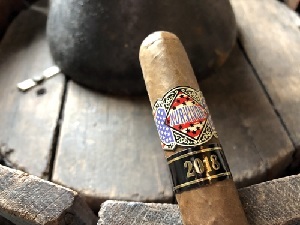 Xurvivor Cigars announced today the launch of the Xurvivor Americano Maduro 2018 cigar line. The new cigar collection is being displayed in their new, redesigned e-commerce store XurvivorCigars.com/shop. The first cigar in the Xurvivor Americano collection was designed with cigar lovers in mind, with a maduro wrapper and a full-body, flavorful profile. The 2018’s 2,500 limited production was 100% handcrafted in Ybor City, Florida. For the month of May, the company is offering an introductory pricing for the limited edition cigar. Ybor City, also known as the cigar capital of the world, is the only neighborhood on Florida’s west coast to be designated a National Historic Landmark District. The home of Xurvivor Cigars is a favorite destination for cigar aficionados all over the world, and has been the cradle of cigar manufacturing the United States for more than a century. The new cigar collection was launched together with a new online store redesign. “Our new online store maintains the same look and feel as the old website, but includes many aesthetic and navigation enhancements. We want to provide a more engaging user experience and help our customers easily search for their next favorite cigar” said Joshua Candamo, Pr esident of Xurvivor. Xurvivor Cigars is known for offering very short runs of exciting, limited editions cigars. To commemorate the launch of their new cigar collection, the company is also offering their first collector’s edition limited print of 50 posters. 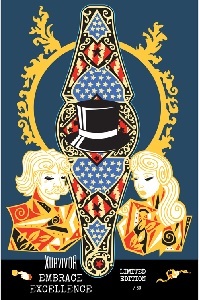 The poster was designed by a local Tampa artist, and includes the AMERICANO band, as well as artwork from the CLASICO and EVO cigar bands. For more information, visit the Americano collection website and take advantage of the introductory pricing offering discounts for the month of May. Xurvivor Cigars is a brand of cigars owned by Xurvivor, a privately held company based out of Tampa, Florida. Xurvivor Cigars offer a variety of premium cigars hand rolled in Ybor City. June 21 – the United States Supreme Court ruled that states are no longer prohibited from collecting sales taxes from internet retailers. The overturned case, Quill Corp. V. North Dakota, essentially had prevented states from collecting sales tax on e-commerce unless the seller had a physical presence in the state. Today’s ruling makes that approach obsolete. It is important to note the case applies to sales tax only and does not currently impact OTP or other excise taxes. (Miami, Florida) May 9, 2018—Villiger Cigars continues global growth, with the opening of its new factory in Brazil, Villiger Do Brasil (which translates from Portuguese to “Villiger of Brazil”). Heinrich Villiger was present at the opening of the new factory, marking the next evolution of a long relationship between Villiger Cigars and Brazilian tobacco, dating back to Villiger Cigars’ beginnings in 1888. Villiger Chairman of the Board, Heinrich Villiger is very passionate about Brazilian tobacco and made a point to partake in the opening celebrations of the new factory. Currently the Villiger do Brasil factory produces only Brazilian puros, to include the Villiger San’Doro Maduro, Villiger Tobajara along with European exclusive brands Villiger Celebration, and the Corrida. 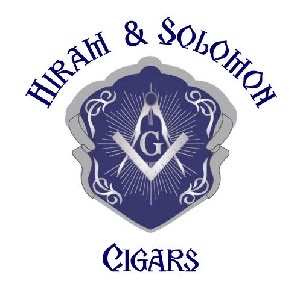 New York, NY--Hiram and Solomon Cigars, one of the fastest growing boutique cigars in the country, is excited to announce the hiring of Wayne D. Clarke as General Sales Manager. He will begin work immediately and will be helping grow underdeveloped territories nationwide as well as work with existing reps in their territories. Wayne brings to Hiram and Solomon Cigars a passion for tobacco and will be working closely with Fouad and George on innovation as well as growing the sales force in the months to come. “One of my goals is to show that this cigar, as special as it is, is not just a cigar for the Masonic community, but one that the entire cigar community as a whole can enjoy,” says Clarke. For more information or questions contact Wayne Clarke, General Sales Manager, at 617-329-9863. August 10th marks a major milestone in the implementation of FDA’s Deeming Rule. On this date, the warning label requirements for cigar and pipe tobacco packaging and advertising go into effect. Below are a few things retailers should know ahead of time. IPCPR plans to release additional briefs on aspects of the warning label requirements over the coming days. 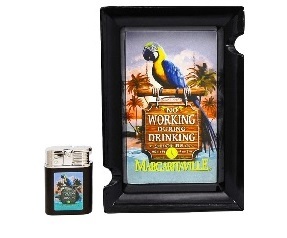 These briefs will cover issues including the point-of-sale signage requirements for retailers of individual, unpackaged cigars and retailer obligations for advertising warning statements. What are the Warning Label requirements for packaging? Beginning on 8/10/2018, manufacturers of cigars must label product packages with six separate FDA warning statements. On the same date, manufacturers of pipe tobacco must label product packages with a nicotine-addictiveness warning. 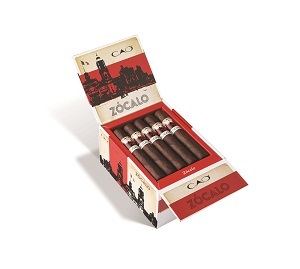 The labels must make up 30% of the two principal display panels of the package, comply with other formatting requirements, and in the case of cigars be displayed consistent with an FDA-approved warning plan. 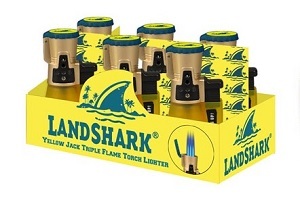 On and after 8/10/2018, U.S. distributors and retailers may continue to sell, distribute or import products that do not have compliant warning labels, AS LONG AS the products were manufactured before 8/10/2018. What happens if the FDA comes to my store? Will the Agency hold me responsible for any package labeling issue? The labeling responsibility for packaging rests with manufacturers. And there are a series of protections under the Deeming Rule that reinforce this for retailers. 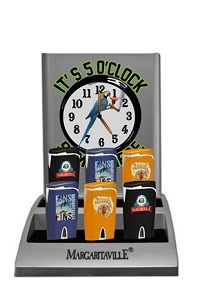 The retailer has not altered the product in a way that is material to the new requirements. How do I “demonstrate or reasonably assert” a product’s manufacture date? Make such information available upon request and presentation of a labeled code. Segregating products manufactured before 8/10/2018 to allow the retailer to identify products not subject to the warning requirements. Austin, TX. – Born from the new charitable strategy, IGNITE some good and produced at the A.J. Fernandez Cigar Co. in Esteli, Nicaragua, the Jacobs Ladder Lancero makes its debut in an exclusive box pressed format known as the TOP RUNG at Casa de Montecristo which coincides with the Texas Cigar Festival. The box pressed lancero in this award winning premium cigar blend is a limited exclusive release and will be available in a number of Casa de Montecristo retail locations. “Blessed with an impressive resume since its 2017 release date, Jacobs Ladder, Lancaster 401 Broadleaf wrapper - double ligero has been honored with a number of Cigar of the Year awards including an impressive #1 Cigar of the Year by Houston’s own Toasted Foot, #2 Cigar of the Year – the Consensus by Half Wheel and #4 Cigar of the Year by Cigar Dojo, we wanted to offer a special size and an incredible representation of this bold but approachable blend as the initial release for our IGNITE charitable strategy. Let’s IGNITE some good!” said Sharon Holt of Southern Draw Cigars. Southern Draw Cigars arrives in Houston for the Texas Cigar Festival with an announcement of this limited release. With rarity comes quality and consumers will certainly want to burn a few of these beautiful lanceros and experience the complexity and craftsmanship while they directly support the charitable cause, Operation Cigar for Warriors through generous financial and cigar contributions. 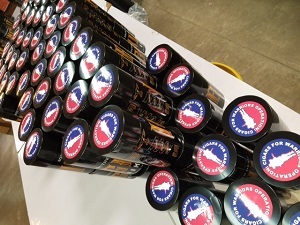 Available only in the 10 count humidified jars under the IGNITE brand, the TOP RUNG is the first of five special releases scheduled for 2018. 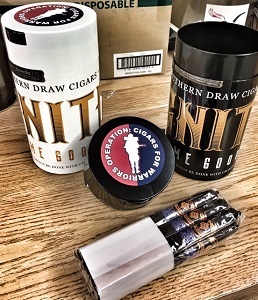 Southern Draw Cigars, Casa De Montecristo and Boveda Inc. have selected Operation Cigars for Warriors (www.cigarsforwarriors.org) as the initial beneficiary of the IGNITE project. This extension provides additional time for industry to present its case to the administration and submit comments to the FDA. IPCPR, along with other industry associations, members of Congress and industry stakeholders submitted extension requests. Our association applauds the FDA’s decision, and attributes it to the continued dialogue IPCPR has forged on Capitol Hill and with the FDA regarding premium cigars and a need to exempt this niche artisanal industry from an ill-suited regulatory framework. Teaming up with premium cigar retailers and sponsors to help select charities, Southern Draw Cigars is proud to announce its new charitable strategy as we endeavor to IGNITE some good. Our community’s needy, homeless and hungry, many of whom are US military veterans. Ambition – IGNITE partners and sponsors will be demanding of ourselves, providing our first and best cigar offerings and are each committed to increasing annual contributions for every cause we agree to support. Collaboration – INGITE partners value one another, thrive on our united resources, and will work to leverage our combined strength in making a difference, without placing the financial burden on any single party regardless of their own resources. Creativity – IGNITE is a new idea, a new approach in overcoming federal, state and local restrictions that have proven somewhat prohibitive for the premium cigar industry, to take a disciplined approach to develop sustainable options to best support our causes. Accountability – IGNITE partners take responsibility for using our combined resources effectively and efficiently, achieving quantifiable and sustainable results and being accountable to one another, and most of all, to the causes we support. Southern Draw Cigars will provide complete transparency regarding the identity of each partner, sponsor and the amount of all contributions and the frequency of the offerings. Each IGNITE jar has been optimized for delivery with Boveda’s (www.bovedainc.com) patented 2-way humidity control and a freshness seal, each donated by Boveda as they increase their already generous charitable giving program. Southern Draw Cigars and three retail partners have selected Operation Cigars for Warriors (www.cigarsforwarriors.org) as the initial beneficiary. This is a concerted effort to increase the cigar donations and monetary contributions that have seen a significant decrease since the 2016 FDA Regulations. Stockpiles of donated cigars and funds to ship the cigars to our deployed military personnel have diminished to all-time lows. April 14 – IGNITE release #1 during the Texas Cigar Festival. May 12 – IGNITE release #2 at Famous Smoke Shop & Leaf Cigar Bar. Date TBD – Cigars International has selected two unique releases under the IGNITE banner, along with scheduling wo exciting events in September and November. TBD – Q3 - 2018 IGNITE release #4 is available for retail partnership, 1,000 jars and a NEW Southern Draw Cigars release.